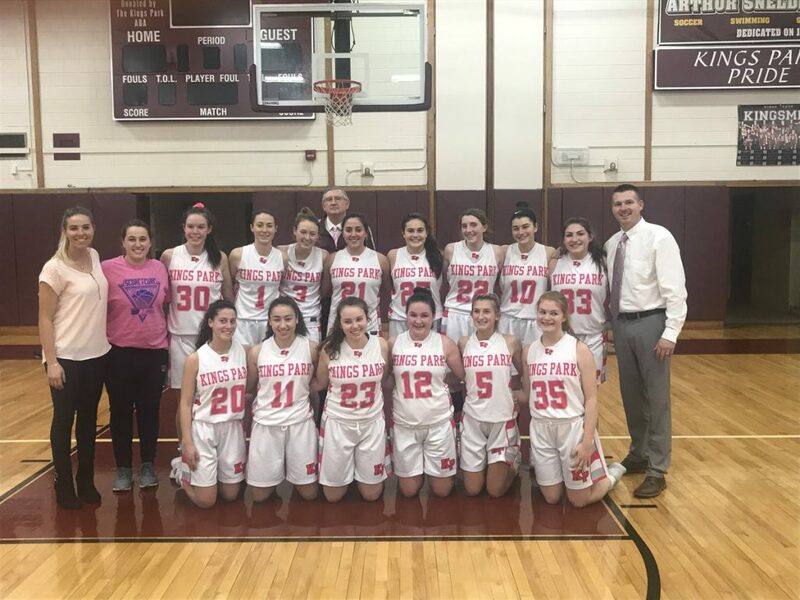 The JV and Varsity teams, as well as the local youth basketball group participated in a fundraiser game for the American Cancer Society, in conjunction with the Suffolk County Girls Basketball Coaches Association. The fundraiser consisted of donations from the community, bake sale, the 3rd grade youth team played an exhibition game between the JV and Varsity games. The teams raised roughly $650.00 on the day and all proceeds go to the American Cancer Society. This is the team’s 10th year participating in this fundraiser.